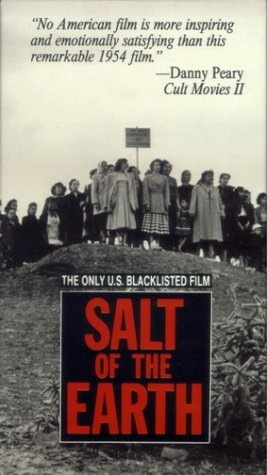 Today in labor history in 1950 the “Salt of the Earth” strike began by the mostly Mexican American members of Mine, Mill and Smelter Workers Union Local 890 in Bayard, N.M. Strikers’ wives walked picket lines for seven months when the men were enjoined during the 14-month strike against the New Jersey Zinc subsidiary, Empire Zinc. The classic film, “Salt of the Earth,” is based on this strike. The movie highlights the Mexican American miners’ demand for wage parity with white miners, and to be treated with dignity by bosses. At the same time, the movie presents the issues confronting Mexican American women with its focus on the miners’ wives. The film was written, directed and produced by members of the original “Hollywood Ten,” who were blacklisted for their refusal to cooperate with the government witch hunts against the left and communists. The entire cast is made up of miners and their families, except for a few professionals like Rosaura Revueltas and Will Geer. A great movie, see it!